Tropical taste, sophisticated materials and bespoke details characterize the sparkling atmosphere of BIT restaurant: where refined tropical-chic interiors welcome a mixology bar and an international-cuisine restaurant. 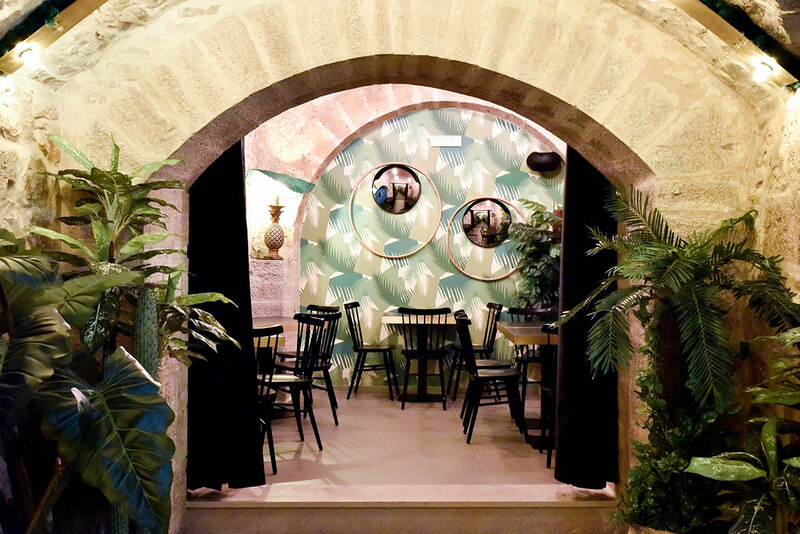 BIT restaurant is a cosy and relaxed ambience designed by the young Italian studio Diorama, in the heart of Puglia (Italy). 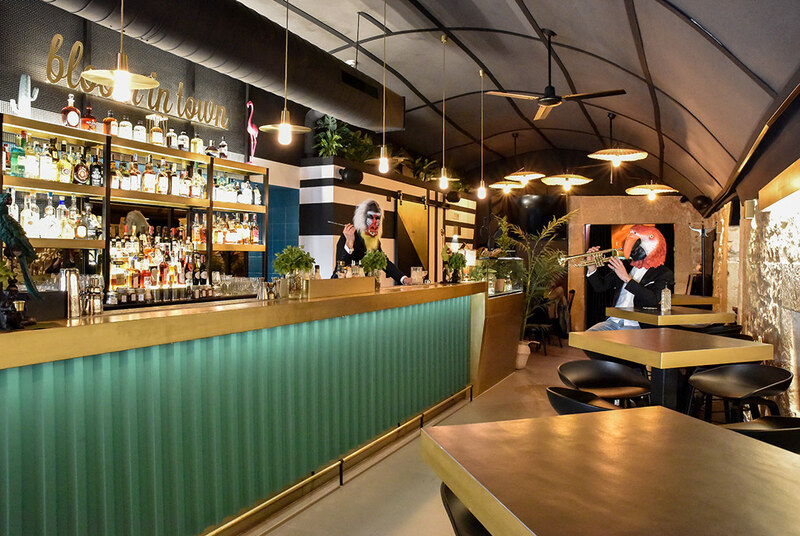 The space combines attention to details and a warm tropical taste through a selection of precious brushed brass surfaces, metals sheet painted with vivid colours, rattan furniture and a variety of plants and flowers. The interiors of the original stone building have been carefully restored to disclose three main rooms, characterised by different sizes, furnishing and set up. The main room accommodates a ten-meter counter and a customised bottle display in black and brass metal on the background. Wallpapers and fabrics, inspired by the botanical and wildlife, combine with black and white patterns and bespoke neon luminaires on the walls. Inspired by the Havana’s alleys, the second room is snug and narrow, lighted up by bamboo pendant lamps that give a soft glowing light. The third room pays tribute to the local traditions highlighting stone vaults and mix a selection of quirky mirrors, ornamental plates, large prints, vintage lamps and souvenirs from all around the world. The main furniture, including the counter, the bottle display, the tables and the sofas, have been carefully designed by Diorama and made by skilled local craftsmen. The pendant lamps in the main room have been fabricated reusing traditional objects of the rural culture. “Fiscoli”, the old coconut-fibre disks used for the olive-pressing, have been transformed into large lamp shades. The stone vaults have been lighted up with curved brass strips to create a dramatic bright crowns.